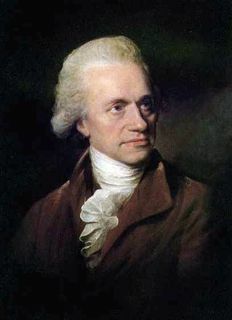 In 1800, the German astronomer William Herschel was the first to discover that light is not always visible to the naked eye. During an optical experiment, Herschel passed sunlight through a prism to separate the white light into its coloured components. Using a thermometer, he measured the temperature of each of the coloured rays and determined that the temperature increased from blue to red. Pushing his experiment a little bit further, Herschel placed the thermometer beyond the red light rays where no light was visible. To his great surprise, he measured a temperature even higher than that within any of the visible rays. He proved, for the first time ever, that invisible light – the infrared – exists beyond the red portion of the light spectrum. In 1856, the Scottish astronomer Charles Piazzi Smyth detected infrared light emanating from the Moon. He conducted his observations at different elevations and realized that the best data had been collected at the highest elevations. He was thus the first to understand that the terrestrial atmosphere absorbs some part of the infrared light coming from space. 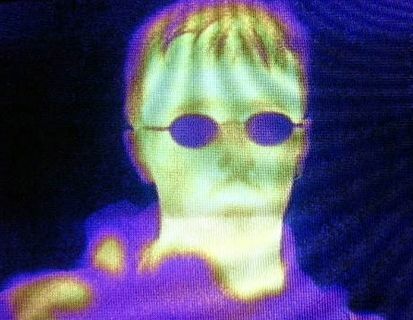 In 1880, the British chemist William de Wiveleslie Abney was the first to take an infrared photograph. It was an image of a hot teapot that he recorded using a special collodion emulsion. Unfortunately, the composition of the collodion was not revealed and, for the next twenty years, all attempts to produce another infrared photograph failed. The first publicly known infrared-sensitive chemical compound, dicyanine, was discovered in 1903. One year later, the American physicist Robert Williams Wood recognized the possibility of improving the sensitivity of infrared photographic film using kryptocyanine emulsion, the chemical cousin of dicyanine. He conducted experiments and, in 1910, became the first to publish photographs taken in the infrared (the photos were of scenery). Knowing that the terrestrial atmosphere absorbs some of the infrared rays coming from space, astronomers (both amateurs and professionals) began to collect airborne data beginning in the 1930’s. It was during one of these expeditions that the American Albert William Stevens used an infrared filter in 1932 to photograph a total eclipse of the Sun from an airplane at an altitude of 8,200 metres. In 1933, an American, Auguste Piccard, used an infrared camera to photograph the Earth’s ozone layer from onboard the hot air balloon Century of Progress. Telescopes borne on rockets were first used to photograph the infrared sky in 1970. The project, called Hi Star, was active until 1976 and managed to accumulate a total of 30 minutes of observation time. In all, 2,363 infrared sources were detected. The first infrared space observatory – IRAS (Infrared Astronomical Satellite) – was launched in 1983 and operated for 10 months. It mapped more than 96% of the sky and discovered about 500,000 infrared sources. The ability of infrared light to pass through dust allowed the centre of our galaxy, the Milky Way, to be revealed for the first time. In 1989, the COBE (Cosmic Background Explorer) satellite was launched into orbit and the entire infrared sky was mapped in four years. A few years later, in 2003, the Spitzer space telescope was launched. Spitzer is the “Rolls-Royce” of infrared telescopes and is used to study specific astronomical targets.